Some specific notes on the property and the area: Nice, quiet street with friendly neighbors. The pool area faces west, so you benefit from the afternoon sun, and the sunsets over the canal are stunning. The pool is heated by default to 80 degrees Farenheit, but it is easily adjusted – we turned it up to 85 degrees, and it cost just a few dollars per day to do so. We never used the air conditioner except while sleeping – the entire back of the house is sliding glass doors that we opened wide first thing every morning. The beds are comfortable (as is all the furniture), the WiFi is fast, all the appliances are top-notch. Several Publix grocery stores are within a 10-15 minute drive. We visited just about every beach in the area, from Naples (~1 hour) to Bonita (~40 minutes) to Sanibel (~30 minutes) to Captiva (~1 hour). Naples and Captiva were our favorites. You’ll find beach toys and beach chairs in the garage, no need to bring or buy any. 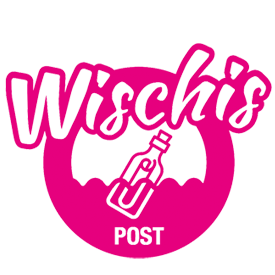 Thank you, Wischis – We will definitely be back! Perfect house with everything you need and more. The house was almost better than the pictures. It was very clean and had everything. It was good organized with all the information you needed. The pool was really nice and clean. The kitchen was fully equipped. We just love the place! Nothing to complain about at all but you definetely need a car cause it is far away from sightseeing, malls and supermarkets. Paradise Dream was a very comfortable rental located in a convenient area. Cleanliness & furnishings were A+. Working with Wischis group is always great. 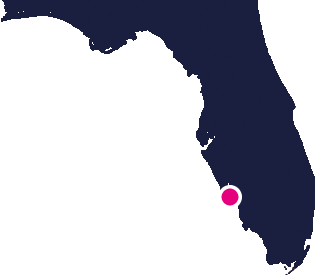 We have been renting our holiday home from Wischis Florida on several occasions in the past years.Every time they prove to be professional, clear, easy to work with and willing to go the “extra mile”. All houses rented in the past years have always been fantastic and exactly as advertised on their website. The Wischis team will do their utmost to make your stay an enjoyable one. Therefore I can truly recommend them as South-West Florida’s premier choice for renting a vacation villa. Die Beschreibung des Hauses und die Bilder stimmen exakt mit dem überein, was wir hier vor Ort vorgefunden haben. Ein sehr gepflegtes, großzügig geschnittenes und geschmackvoll eingerichtetes Haus in sehr schöner Lage direkt am Kanal, trotzdem ruhig und zentral gelegen. Der Pool ist neu und groß, ebenso wie der gesamte Außenbereich. Durch die gute Ausrichtung des Hauses ist den ganzen Tag Sonne im Poolbereich. Restaurants, Publix, Walmart, Shopping-Malls sind in wenigen Minuten erreichbar (Edison-Mall ca. 5 Meilen, Miromar-Outlets ca.17 Meilen). Während unseres diesjährigen Florida-Urlaubs haben wir eine Woche in diesem schönen Haus verbracht. Obwohl wir sehr kurzfristig gebucht hatten und noch keine Erfahrungen mit diesem Vermieter hatten wurden wir nicht enttäuscht – das Haus war super ! Es war äußerst gepflegt und supersauber – das haben wir schon anders erlebt. Vor allem muss man lobend erwähnen, dass auch für die Dinge des täglichen Lebens gesorgt war. Es waren Kaffeefilter, Müllbeutel, Küchen- und Toilettenpapier vorhanden, so dass man nicht zwingend am Tag der Anreise noch einkaufen musste. Der Vermieter ist sehr nett und äußerst bemüht dass sich die Gäste wohlfühlen und alles perfekt ist – besser geht’s nicht ! Wir können dieses Haus und vor allem diese Agentur uneingeschränkt weiterempfehlen und sollte uns die Reiselust wieder einmal nach Florida ziehen, dann sicherlich in ein Haus von Wischis Florida Urlaubs Team !! Even better than advertised. The house was very bright and roomy. We really enjoyed the open layout of the kitchen and living room. The bedrooms are located at different corners of the house and with the kitchen and living room so spacious it never felt crowded. The view from the beatiful pooldeck was fantastic and the bamboohedge provided privacy. Overall a very nice house in good condition, and the management was very professional. We had a wonderful vacation and could easily recommend this house to anyone visiting Cape Coral. Nice and very clean upon our arrival. The house is in a quiet, safe and calm area. Very close to the golf club. The house is very well equipped and in a good condition. Perfect service from Wischis who rented out the house.